Stats in the US indicate that 11.9% of women have received some form of infertility treatments or fertility services in their lifetime. And that approximately 1 in 8 couples have trouble getting pregnant or sustaining pregnancy. Ovulation, which happens when the woman’s body releases a mature egg from one of her ovaries. The egg must travel through the Fallopian tube on its way to the uterus or womb. A healthy sperm must join with or fertilize the egg along the way. Implantation: The fertilized egg must attach itself to the walls of the uterus. Infertility usually occurs when there is a problem with one or more of these steps. We are listing some resources here that can help to reverse or heal infertility in many cases. Of course it would be irresponsible to suggest that any of the resources would cure all infertility, but there may be something here that works for you and can save you time, great pain and money. Trying to have a child is very difficult and painful process to many and not inexpensive these days especially if there are complications. 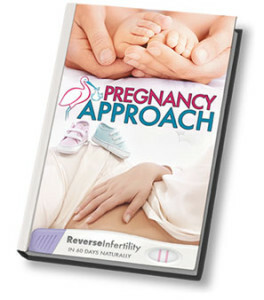 You can watch the video on the Getting Pregnant Plan ebook. A plan that has over 7000 customers and many successful testimonies on the site. Even comes with a guarantee 100% refund if you are not satisfied. An accomplished program with over 137,000 women listed as seeing positive results. A natural approach. About a third of the cases of infertility are as a result of a problem or medical condition that the woman has. Another third of infertility cases can be traced back to the man. There are also instances in which infertility is as a result of both male and female causes. In a small number of cases, the cause of infertility is unknown. – Polycystic ovarian syndrome: This is a condition that interferes with ovulation. It is the most common cause of infertility in women. – Functional hypothalamic amenorrhea: This is absent periods due to excessive emotional or physical stress. – Diminished ovarian reserve: This refers to the reduced ability of the ovaries to produce eggs. It can be due to medical, surgical, congenital or unexplained causes. – Premature ovarian insufficiency: This happens when a woman’s ovaries fail before she is 40 years old. – Menopause: This is the age-appropriate decline in a woman’s ovarian function. Infertility can also occur if the woman’s fallopian tubes are swollen or blocked. Anatomic abnormalities of the uterus, such as fibroids, can also cause infertility. A woman’s risk of infertility increases if she is older, smokes or drinks excessively, gains or loses a lot of weight, or is too physically or emotionally stressed. Medical conditions that increase the risk of infertility in women include painful periods, irregular periods, endometriosis, pelvic inflammatory disease, and having more than one miscarriage. – Environmental factors such as exposure to lead and toxins. – Medical conditions such as diabetes, testicular failure, and cystic fibrosis. Men may also have an abnormal sperm analysis due to treatment with radiation or chemotherapy. – Varicoceles, which is a condition that causes a man’s testicles to enlarge and overheat. – Unhealthy habits such as smoking, drinking, testosterone supplementation, and use of anabolic steroids or illicit drugs. This entry was posted in Infertility Help. Bookmark the permalink.